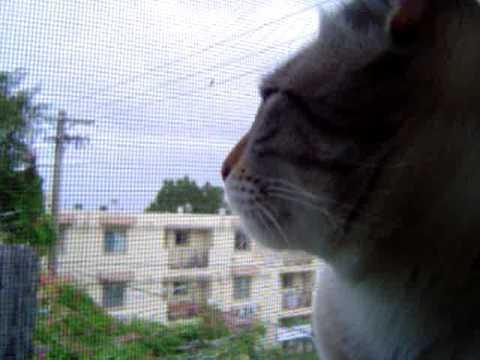 There are 12 cat videos tagged with meow. 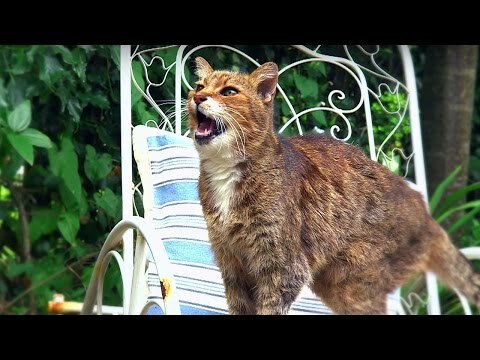 This strange cat hears a rooster and does a super impression of the rooster's crow. 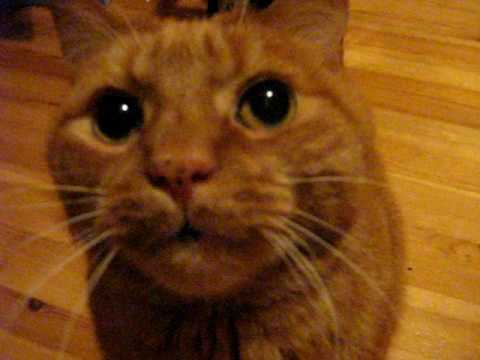 In this cat video from 2009, Nima, a 15 year old orange cat meows and purrs for dinner. 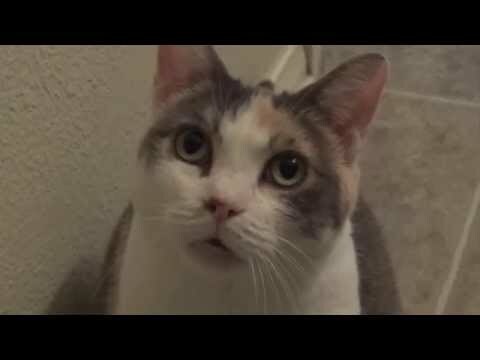 The old guy has the cutest raspy meow. 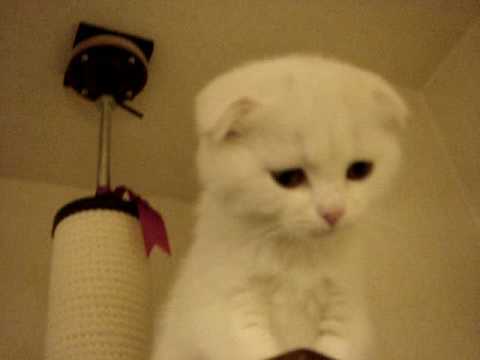 In an update from 2012, the owner stated that Nima was still awesome and thriving at 18. 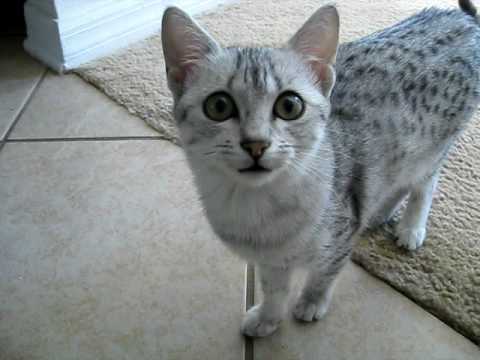 Egyptian Maus might talk to you with a meow that chortles and trills, and this cute kitten is no exception. As her owner is trying to leave for work, she tries to convince him to stick around and play with her instead.